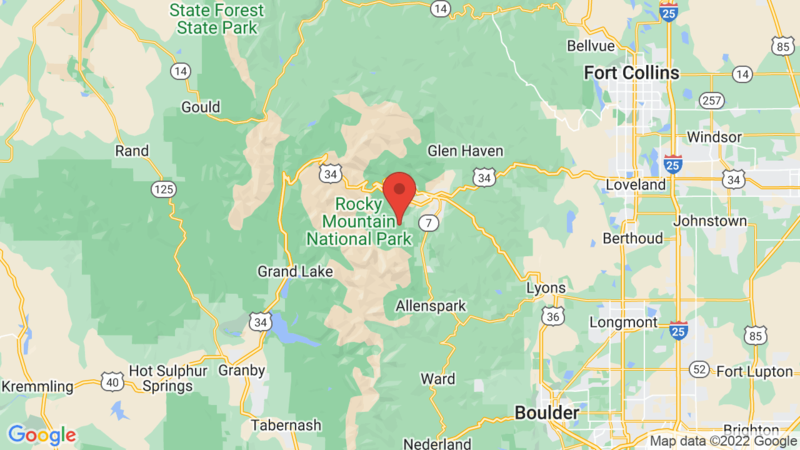 Glacier Basin Campground in Rocky Mountain National Park has 151 campsites for tents, trailers and RVs (up to 35 feet). 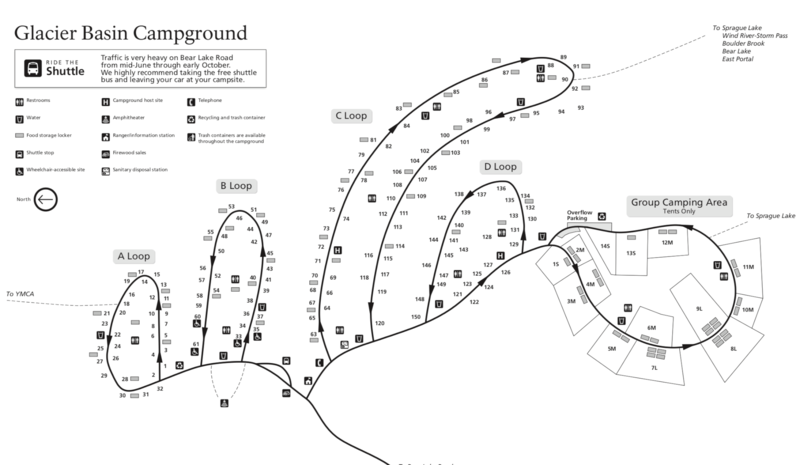 There are 13 group/tent sites (RVs not allowed), 71 tent-only sites and 67 standard family campsites. The campground is up at 8,500 feet so be sure to take a shawl for the cool evenings. All campsites are reservable up to six months in advance to the day of arrival. Glaicer Basin Campground has drinking water, flush toilets, dump station and an amphitheater. You can also purchase ice and firewood at the campground. Each campsite has a table, food storage locker, fire ring and grill. All camping spurs and campground roads are paved. Rocky Mountain National Park has over 350 miles of hiking trails that range from flat saunters around lakes to steep climbs up to mountain peaks. You’re sure to get a kick out of the lake trails (Bear Lake, Cub Lake, Mills Lake), waterfall trails (Adams Falls, Alberta Falls, Ouzel Falls) and summit trails (Deer Mountain, Twin Sisters Peaks, Flattop Mountain). The park also offers some awesome scenic driving routes, including Trail Ridge Road and Old Fall River Road. Trail Ridge Road reaches 12,183′ in elevation and is America’s highest continuous highway. So it’s got that going for it. The highway climbs above the tree line to where you can take in panoramic views of the surrounding peaks and valleys. Other outdoor adventures include backpacking, hiking, biking, fishing, picnicking, horseback riding, photography, stargazing and wildlife viewing. Moraine Park is another nice campground option in Rocky Mountain National Park. It has 187 campsites for tents, trailers and RVs. The campsites at both Moraine Park and Glacier Basin Campgrounds are reservable. Visted Glacier Basin Campground lately? We'd love to hear about your adventure. Did you find us useful? Did we forget something? Anything our community should know before heading out to Glacier Basin?